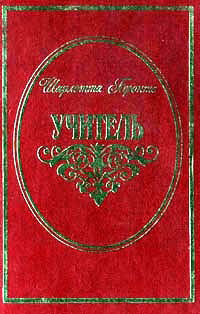 The first Russian translation of The Professor was published in 1857, in the journal Otechestvennye zapisky (Notes of the Fatherland) nr. 115, pp. 107-202 and 621-730. 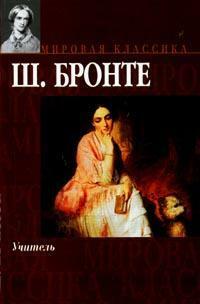 The second translation was first published in 1997 by Mir I Semya (382 pp.). There have been more translators but the title is always the same: Учитель (Utchitel, The teacher). This translation was done by Natalia Fleishman, who also did the annotations. An afterword was written by Yekaterina Teplova. 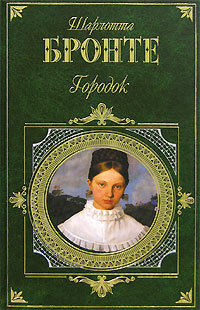 The book has illustrations by Ljudmila Sergeeva. 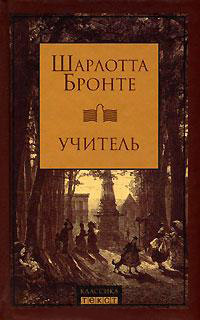 The second and third editions of the Fleishman translation were published in 2006 by Tekst from Moscow (284 pp.). Lady Graham showed us pictures of the staircase and of Mad Mary’s Room (as the attic room is called), which is situated in a remote corner of the attic. The attic is not open to the public because of the fragility of the structure, and the staircase (which is sadly too dangerous for the public to use) can only be seen from the landing on the first floor. Lady Graham told us that they plan to restore the staircase and attic rooms in time, but at the same time respecting and keeping the specific atmosphere of the Mad Woman’s room (supposedly quite a depressing and sad room): “this room is in a cul-de sac in the attic, very awkward to reach, the room is north-facing with a small gable window, it has a tragic feel about it”. After this introduction we were allowed to wander around in the house and visit the rooms opened to the public. Sir James and Lady Graham stuck around and were very willing to answer any questions. I told Lady Graham of my interest in the link of Norton Conyers with Charlotte Brontë and she showed me the library which had been restored and re-furnished with items that Charlotte would have seen when visiting. 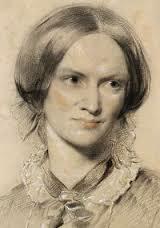 She pointed out a few of these items (such as a pair of globes, a cabinet piano in the window-bay, painting equipment, the bookcases – most of which are locked apart from one triangular bookcase in a corner which contains “everything that could be needed in the way of elementary works” as described in Jane Eyre). The room was re-furnished in accordance with the description of Mr. Rochester’s study, which was used in the novel by Jane Eyre as a classroom for Mr. Rochester’s ward Adele Varens. Apart from the Library the rooms open to the public are: the Dining Room, the Hall (where we started the tour), the Parlour (all on the ground floor), the main oak staircase, and on the first floor: the landing (with the “secret” door), the Passage, the Best Bedroom (with a reproduction of a unique wallpaper design found in an attic cupboard) and King James’s Room (where King James II and his wife stayed during their visit in 1679- still displaying the traditional bed they are supposed to have used). Throughout the house, in all rooms open to the public, you can see a beautiful collection of family portraits and other paintings related to the house and its inhabitants, magnificent old furniture, beautiful 18th century plaster ceilings and many other valuable treasures and fine art work. On our way back from the holidays in Ireland we always spend a few days in the UK, usually in Yorkshire, as this is a region we really love. This year the destination was the area around Ripon, and we had a very specific goal set from the start: a visit to Norton Conyers. We were staying in The Old Coach House in North Stainley (near Ripon), a lovely B&B and a real oasis of peace and tranquility (and a pub and restaurant nearby!). I had done my research in advance and I knew the house was only open to the public on select days and times, but we were lucky: the house was open for visitors in the period that we were staying in the area (27 to 31 July 2016), only in the afternoon with guided tours at 2 pm, 3 pm and 4 pm. The estate is well hidden amidst trees and parkland, and it took us a while to find the entrance. We had to park the car near the stables and the walled garden, and then a short walk towards the House. We had to register for the group visit in a little “shed” next to the house and await the guide’s arrival. We received a brochure about the house and its history, written by the present owner, the 11th baronet, Sir James Graham, which made a very interesting read. This was a good introduction to the guided tour we were about to receive. Norton Conyers is a late medieval stately manor house, a pleasing mix of historic styles, with Stuart and Georgian additions. It has been owned by the Graham family (originally from Scottish origin) since 1624 (except for a period of 20 years between 1862 and 1882). The house is steeped in history and has welcomed a number of noteworthy guests such as King James II, King Charles I and of course Charlotte Brontë. On our way back home towards Dublin we had decided to stop again for 2 nights in Banagher, and that brought us back on the Brontë trail. Three years ago we went to Banagher for the first time very briefly with a special mission: to visit Arthur Bell Nicholls’ grave. We did not have the opportunity then to explore Banagher and the surroundings in more detail, but we intended to come back and stay in the B&B Charlotte’s Way, the home that Arthur returned to after Charlotte’s death and where he died (we also visited this house by sheer coincidence back in 2013). We arrived around noon and had some time to spend before checking into the B&B. We had also arranged to meet Fay Clarke, Church warden of St. Paul’s and the person who helped me accomplish the mission in 2013. Back in 2013 the visit to Banagher was very emotional for me, this time I just wanted to see more of the town and the places where Arthur (and Charlotte on her honeymoon) may have walked. 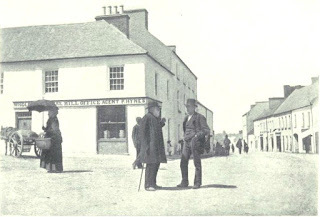 There is a photo of Arthur in old age taken in Banagher, and I was curious to find out the exact spot of the photo. That was not too difficult. Banagher is not a very big town, in fact it is one long main road from the harbour (‘the Marina”☺) towards “the Hill” (where St. Paul’s church and Arthur’s grave are). With the help of a detailed heritage trail on Banagher we could easily stroll up and down the main road and discover the various attractions. 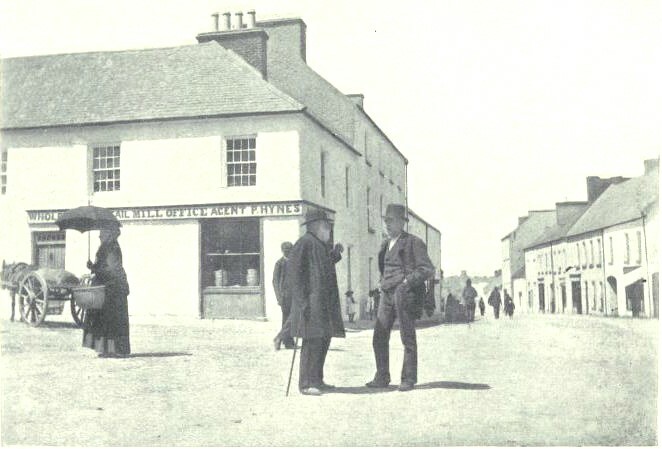 Amongst other things I learned that from 1841 till 1844 Anthony Trollope had also been stationed at Banagher as a Post Office Surveyor’s Clerk, and I could see the place where he had worked (Ivory House) and the place where he had stayed (Shannon hotel – now derelict). It was here that Trollope began his first published novel. Last year I was wondering what the 2016 annual holidays in Ireland could bring as far as Brontë literary links are concerned. I should not have bothered. In Ireland, the country of literary greats, there is always something to be discovered and literary footsteps to trace. This year, the annual holidays started in Cork/Crosshaven. This was a great opportunity for me to do some more research on the honeymoon trip of Charlotte Brontë and Arthur Bell Nicholls. For a very long time, I have been wondering where Charlotte and Arthur stayed in Cork at the end of their honeymoon. I had already been checking all possible biographies. A lot of information can be found on the other places in Ireland that they visited, such as Dublin, Banagher, Kilkee, Glengariff, Killarney, mostly from letters that Charlotte wrote to her friends, but on Cork not much is known. I became intrigued and wanted to find out more. So, I contacted the Cork archives and Cork library before I travelled to Ireland, and made an appointment to have a look at some of the newspapers of that period. As my husband was out fishing at sea for a whole day I was free to spend my days as I wished, and doing some research at the Library was one way of spending the day. Probably not what you would expect someone to do on their holidays (and I did get a funny look from the people at the B&B where we were staying), but this was my way of having fun indoors on a “soft day in Ireland” (note: for those who do not understand Irish humour, this means a rainy day)! However, the newspapers of July 1854 did not mention anything on Charlotte, as I could have expected. But I was not disappointed and was not yet ready to give up. I had to look at it from another angle. 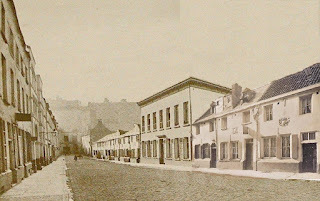 Back in the B&B, while waiting for my husband to return from his fishing trip, by sheer coincidence, I was browsing through a book on Cork describing all streets in Cork city throughout the ages and also mentioning the businesses that were located in the various streets. I found the names and addresses of some hotels and lodging houses that must have been open for business in 1854, when Charlotte was visiting. I decided to spend another day in Cork trying to discover what was left of the “Victorian Cork” that Charlotte may have seen. I even discovered that Charlotte’s idol, William Makepeace Thackeray, stayed in one of the hotels in Cork when he was writing his “Irish Sketch Book”. Many buildings still survive and what I saw and discovered gave me some more ideas on how to proceed with the research on this particular subject. To be continued!!!! There were three editions of the translation in 2007. Two of them were published by AST Chranitelj from Moscow. The first of these had 525 pages and was 17 cm high, the second was 18 cm. 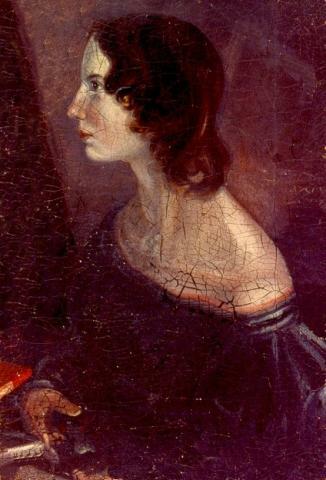 The first translation of Villette was published in 1853. In 1856 and 1860 a translation of La Maitresse d’Anglais was published. These have been described earlier in Nastavnitsa ili pansion v brussele. 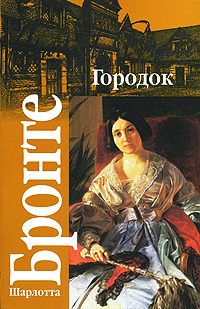 The first of 27 editions of a new Russian translation of Villette was published in 1983, as Городок (Gorodok, pronounced as Garadok), which means little city. The first half was translated by A. or L. Orel. In most cases the name A. Orel is given, in the other cases L. Orel. It has not been possible to find out anything more about this person, but he or she also translated Shakespeare. 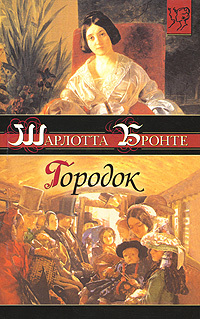 The second half of the novel was translated by Elisabeta Jakovlena Surits. 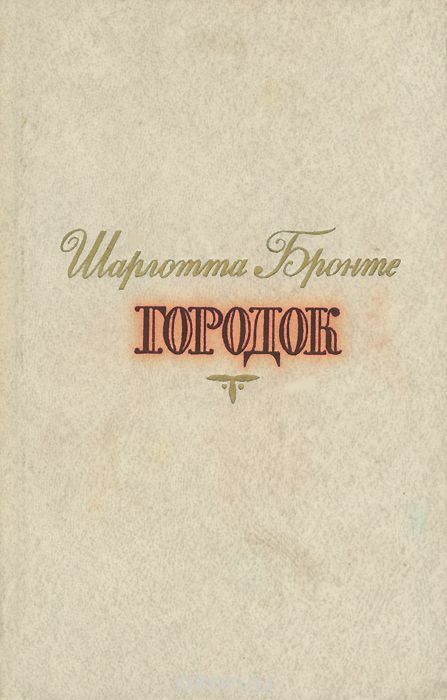 The 1983 edition was published in Moscow, had 559 pages and an introduction by N. Michalskoy. 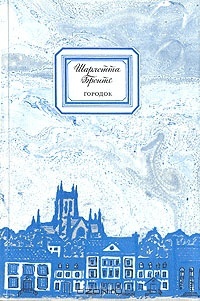 The second edition was published in 1990 by Pravda from Moscow, with the Michalskoy introduction. It had 477 pages.